From April 5th to 8th, 2018, the 25th Annual Native Provincial Hockey Championships took place at rinks across Edmonton. Many youth from the Metis Settlements joined in the 25th Anniversary Celebrations at this year’s ANPHC Tournament. More than 3,500 aboriginal youth took part in this special event. The Metis Settlements General Council would like to congratulate all of the participants in the 2018 Alberta native hockey provincials tournament. 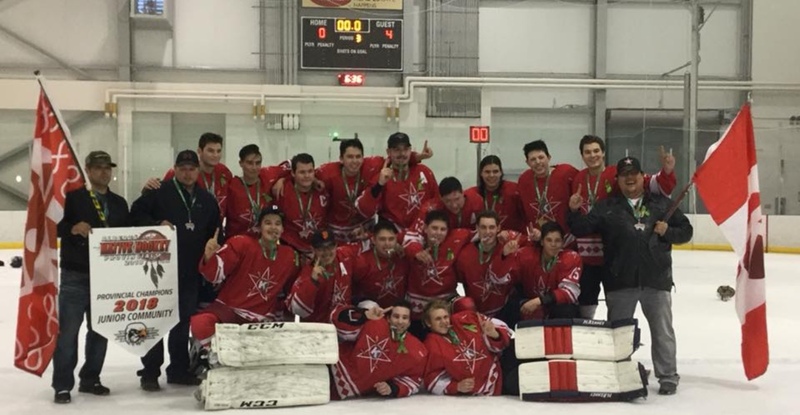 The Kikino Red Army Juniors successfully captured the Gold Medal in the Junior B Community Eagle Division. The Red Army went undefeated throughout the tourney and defeated the Stoney Wild in the final with a convincing 4-0 win. Good job guys!! Solid effort leads to success. 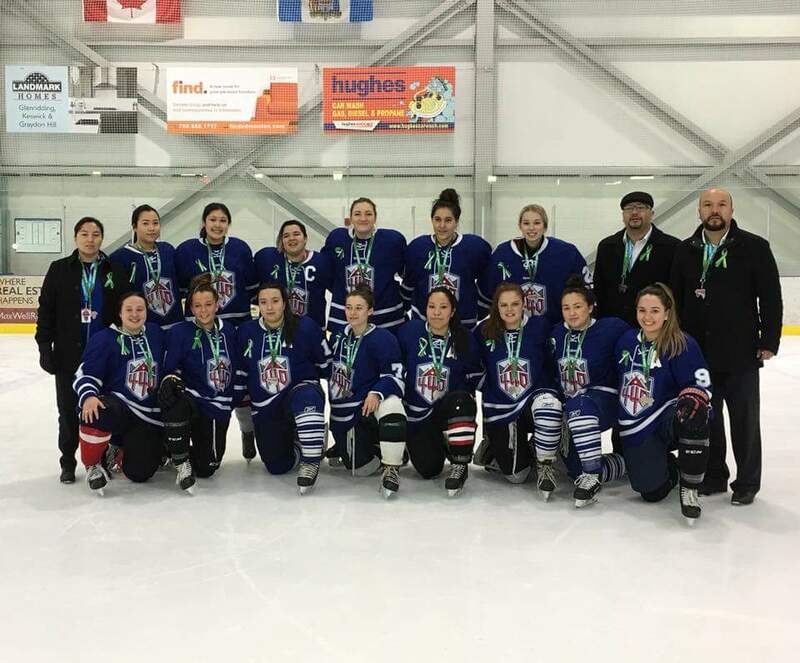 Settlement youth from the Paddle Prairie Metis Settlement, Peavine Metis Settlement and surrounding First Nation communities combined their skills to win a hard fought battle for the gold medal in the Midget Female Division at the 2018 Alberta Native Hockey Provincials Tournament. The team, Alexander Braves – Arcand, went undefeated throughout the tournament. The Whitefish Lake Midget Boys Team captured the gold medal in the Bear Division after going undefeated throughout the tournament. The Lac La Biche Midget Female Ice Hawks captured the silver medal in a hard fought final matchup against the Alexander Braves – Arcand. The ladies put on a tremendous display of talent and perseverance. Congratulations ladies on your solid effort!! 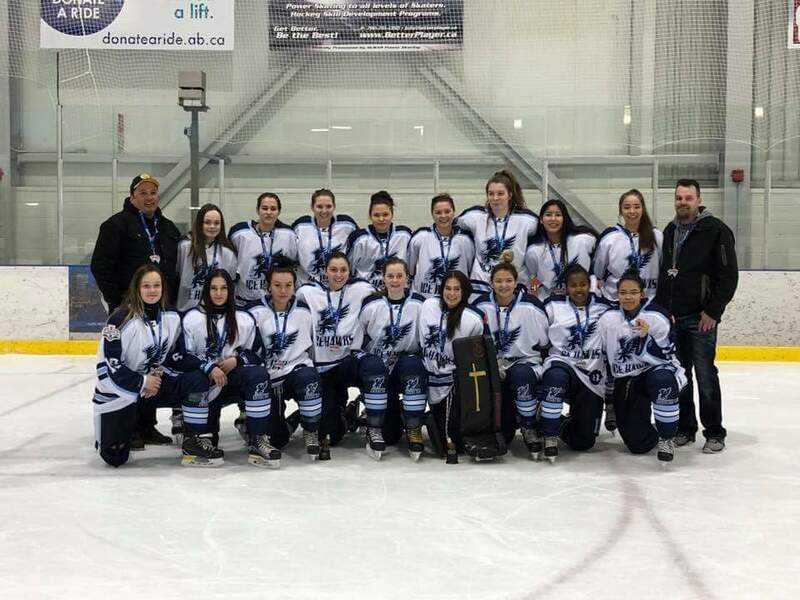 The Enoch Junior Female Team captured the silver medal at the 2018 ANHP. The ladies played extremely well all weekend but came up just a bit short in the final game. Talent and intense love of the game were displayed throughout the tournament.